The past two weeks have been so super busy for me. Besides my normal jam-packed weekends, work has been crazy, I have been ontop of my workout schedule, and I have been shopping like a maniac to get ready to move! Who has time to make a great dinner when there’s a sale on duvet covers at Bed Bath? Oh, and I should probably mention… that a lot of my free lunch-break time has been spent with my dear Kindle reading the second book of 50 Shades of Gray. Talk about deeeeelish. 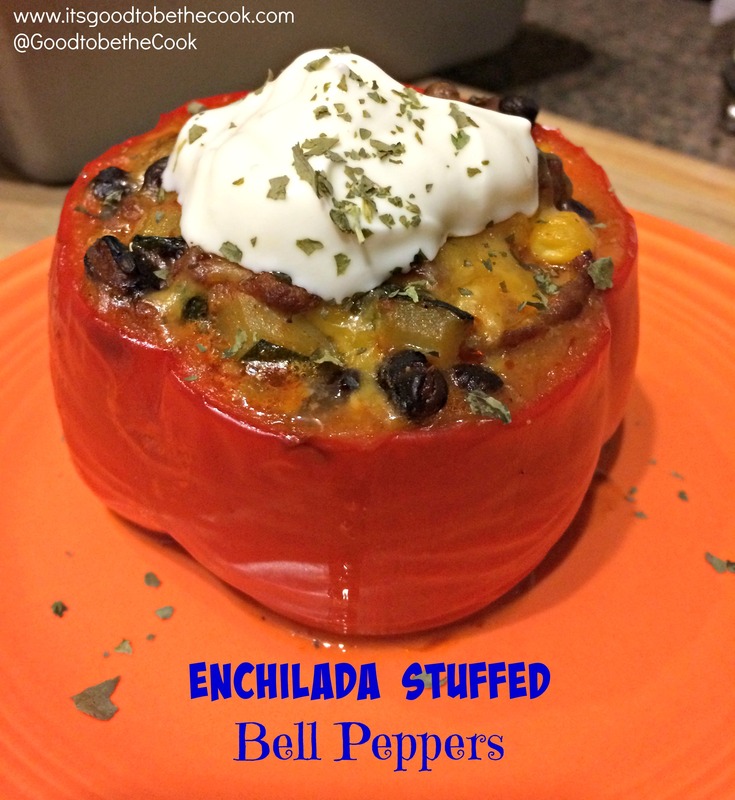 This recipe stood out to me and has been saved in “My Recipe” box for months because of the Roasted Poblanos… mmmmmmmmmmmm! What was really special about this dinner is that my Dad helped me make it. My dad has a few specialties… he makes a mean Grilled Cheese, Captain Crunch with Chocolate Milk, Sweet & Spicy Bacon, and really, really, really good Roasted Red Peppers. While I’ve been meaning to learn how to do the Peppers for a while, I haven’t quite found the time yet, so when he was coerced offered to help me with the Poblanos, I was so excited. 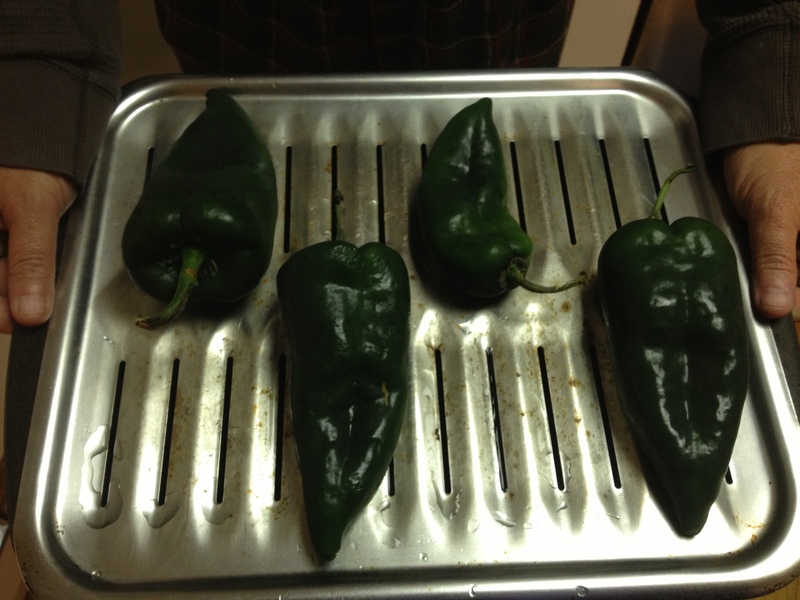 Poblano Chiles ready to roast! Thanks Dad! 1. Put your oven on the broil setting. Prepare a broiler pan with water. Rub 1 Tablespoon of oil on the chiles. 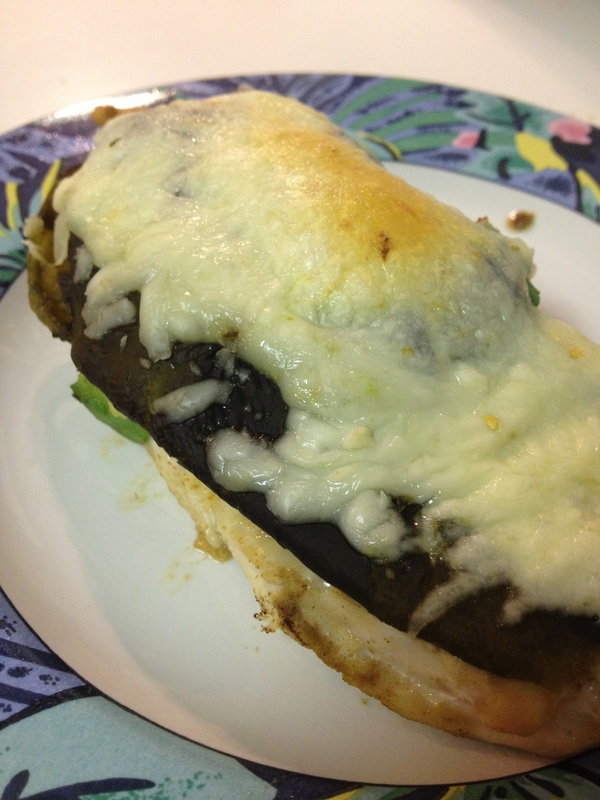 Place the Chiles on the broiler pan and put in the oven (dont forget to leave the door open on broil!). 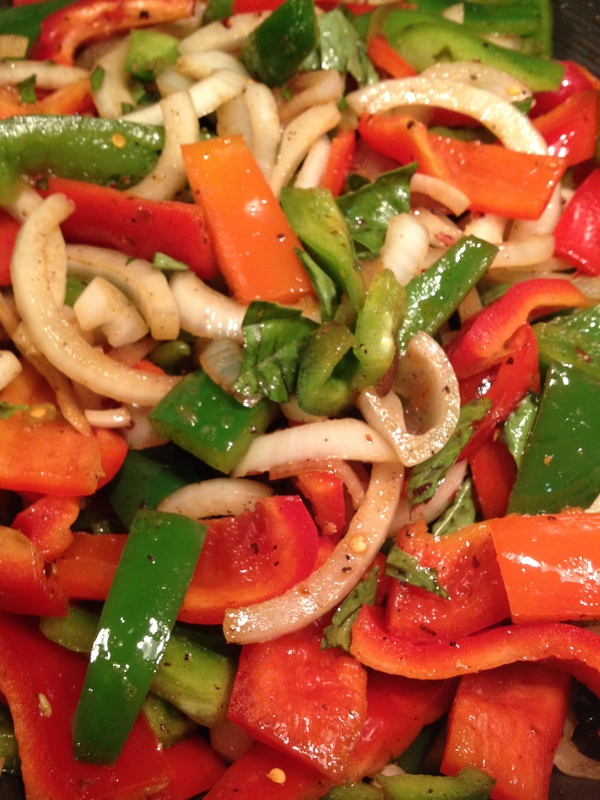 Keep your eye on the peppers, as you’ll need to turn the chiles 90 degrees (with tongs) once the skin ontop has browned. Repeat until all sides are dark brown or charred. 2. Take the “burnt” chiles and plop them right into a brown paper bag. Either place the bag in a plastic bag to avoid leakage or use a brown paper grocery bag wrapped in a plastic bag (we save ours when we go shopping!). Close the paper bag and allow the chiles to steam for 10-20 minutes and let cool. Leave the broiler on, you’ll use it later. 3. Meanwhile, you can rub or spray 1 a little bit of oil over the chicken breasts. 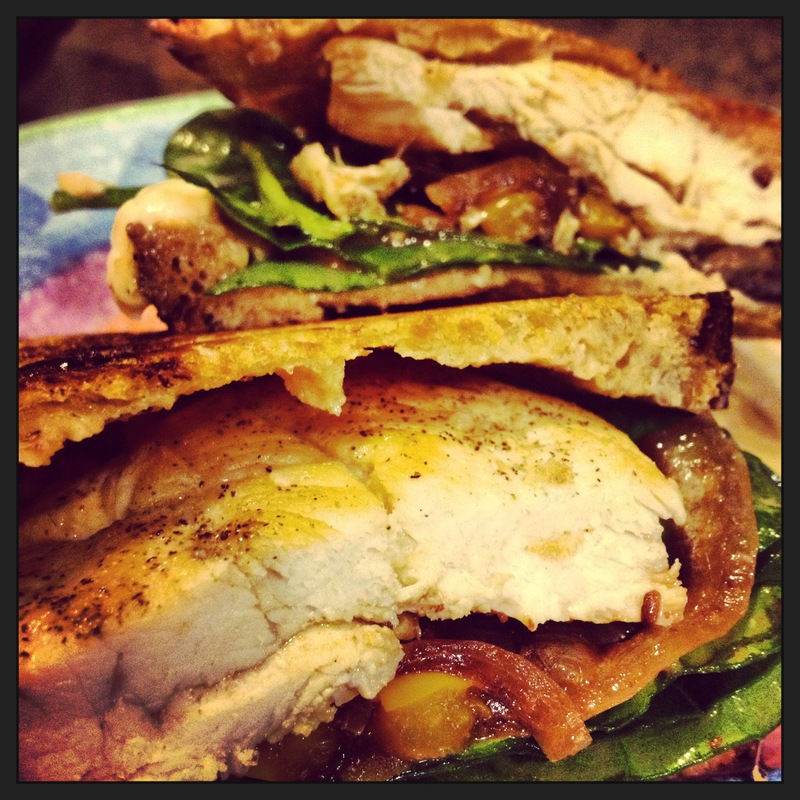 Combine the seasonings (cumin, cayenne, salt, pepper) and sprinkle over the chicken breasts. Grill the chicken or use a grill pan and cook, turning once until browned and cooked through (maybe 5 minutes each side if they’re thin sliced). 4. Take the cooled chiles and peel off the skin running under cold water if need be. Slice off the top. 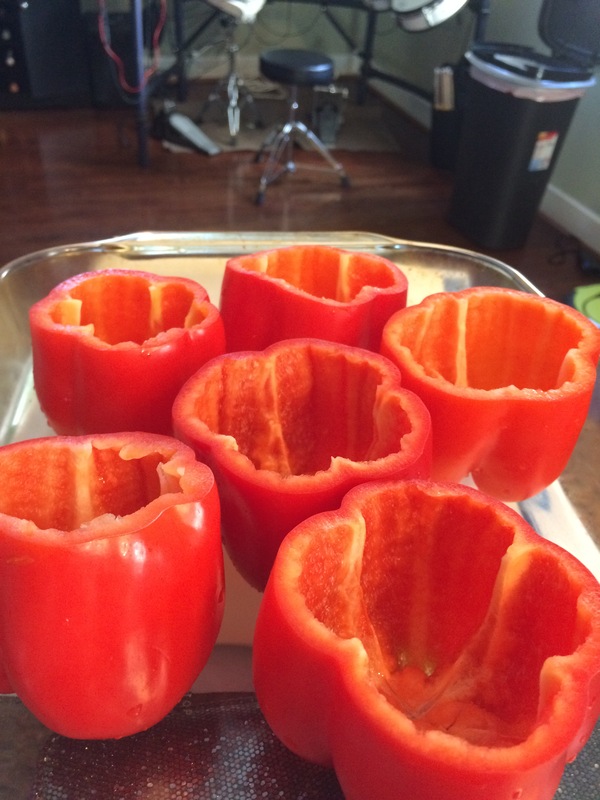 Slice in half and remove seeds to lower the heat, leave them in to keep it hot. 5. 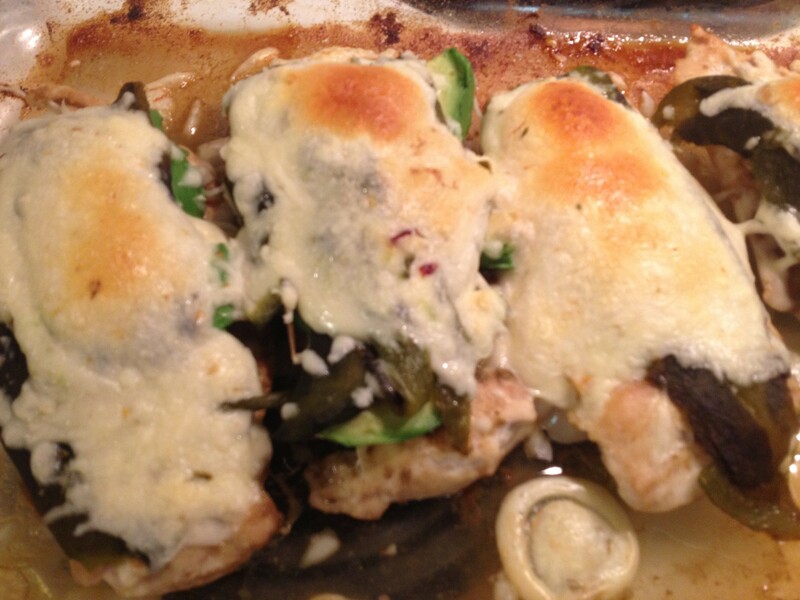 Squeeze some lime over the chicken, top with avocado slices, a reserved roasted poblano, and a sprinkle to a 1/4 cup of cheese. Put the assembled chicken breasts onto the broiler pan and broil for maybe 3 minutes until the cheese starts to bubble and just brown. Enjoy! Shred your own cheese! A nice cheddar or jack cheese would do here. 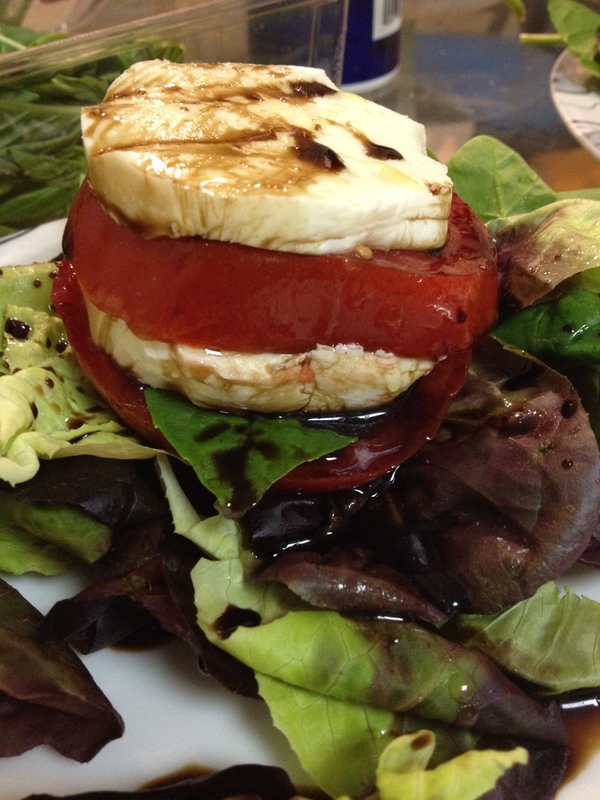 I had a block of reduced fat and like to go a little healthier whenever possible. I used some extra avocado since only 2 of us wanted it and it was just too good to waste! 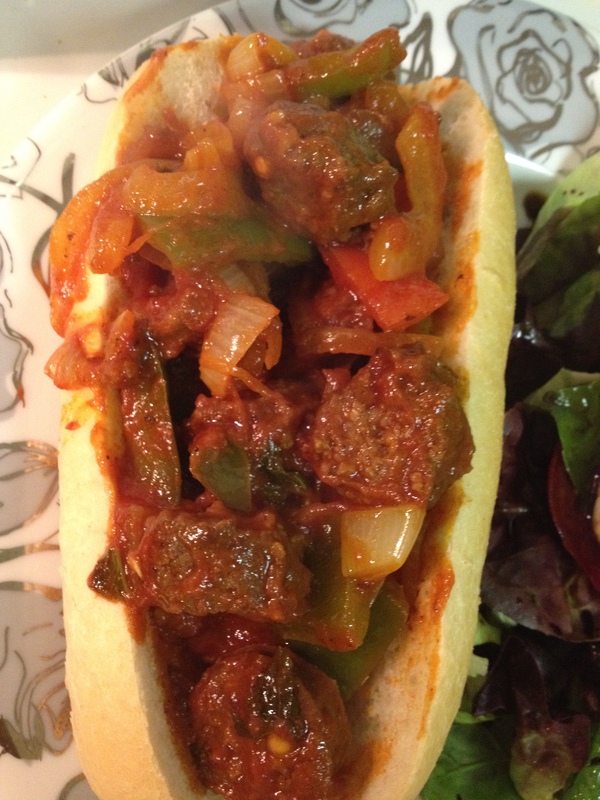 MMM… getting hungry today thinking about this one! 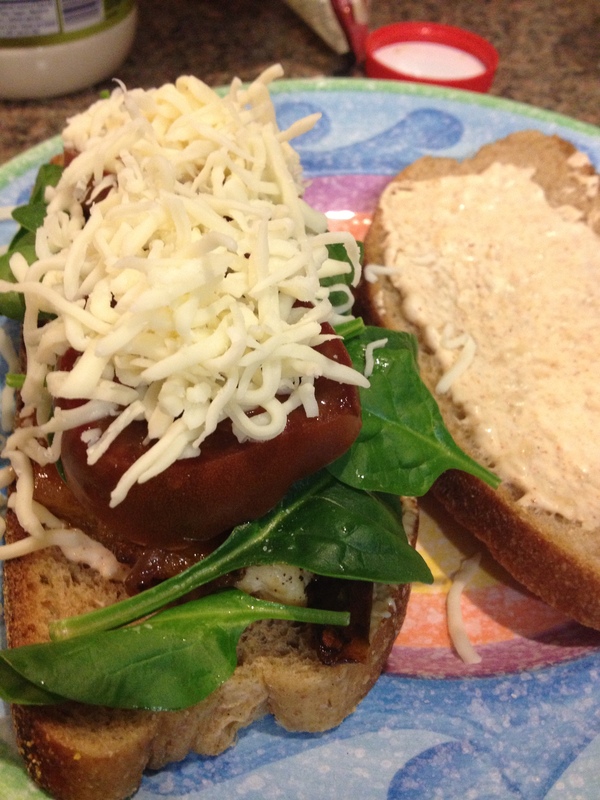 We ate the melts with a side salad, but you could do black beans, rice, or even put it on a nice crusty roll if you’re not trying to Low-Carb like Dave! 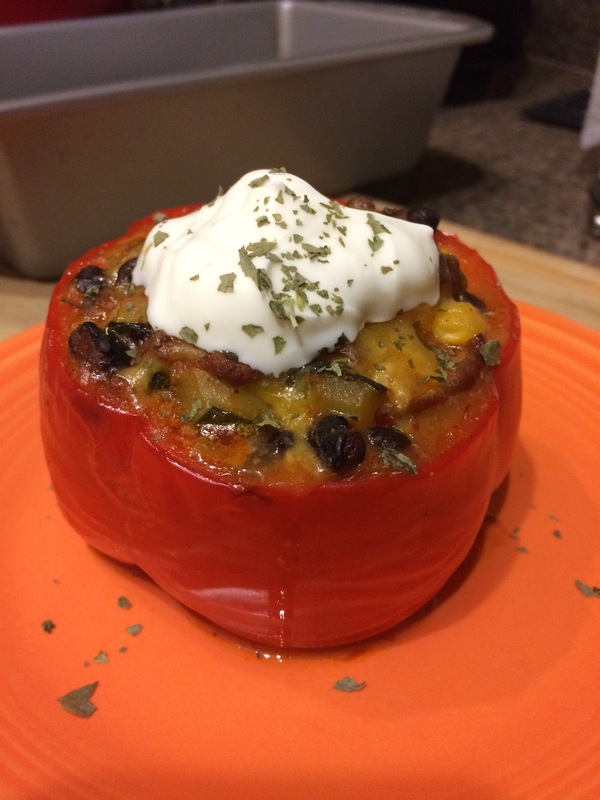 Another variation would be to buy a jar of roasted red peppers which will cut down on the time it takes to make these and also would cut down on the heat. Ever since I started to eat tomatoes, I’ve had the urge to try to make fresh salsa. For as long as I can remember, I wouldn’t even look at fresh salsa. The chunks of raw tomato seriously disgusted me, and fresh salsa was just one thing I was missing out on for years and years. 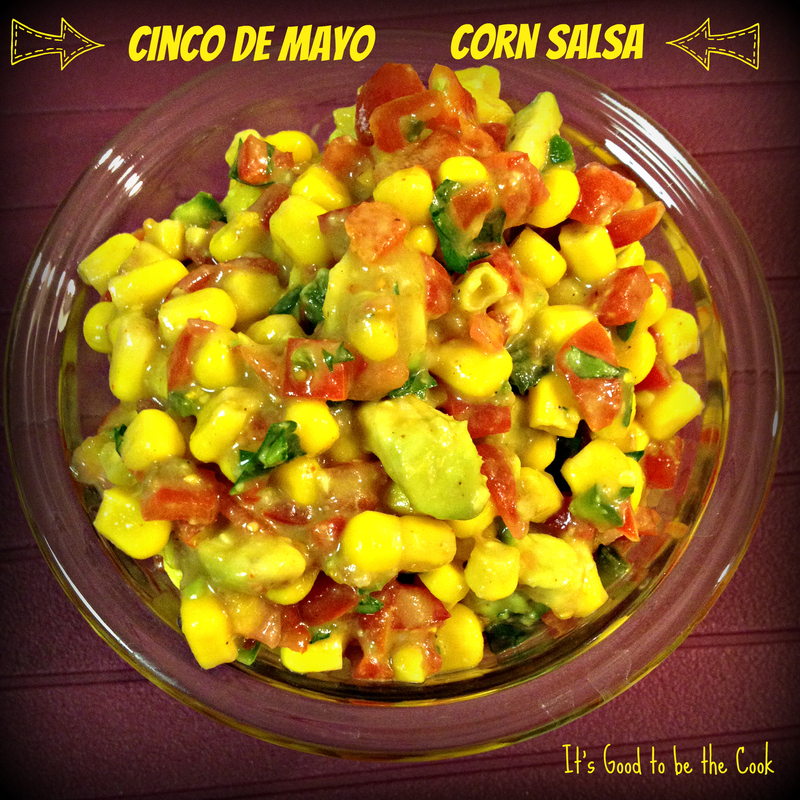 With Cinco de Mayo quickly approaching and nothing to eat for dinner last night, Dave and I decided to give it a-go! This recipe sounds like a lot of ingredients, but I promise it’s so easy and you probably have mostly everything already in your house. 1. Finely chop all veggies except the avocado. Place in a bowl with the garlic, parsley, vinegar, lime juice, and Tabasco sauce. Add the sugar, a little at a time and stir everything together. 2. Add Salt, Pepper, and Cayenne. Again, add everything a little at a time so you don’t overdo it. 3. 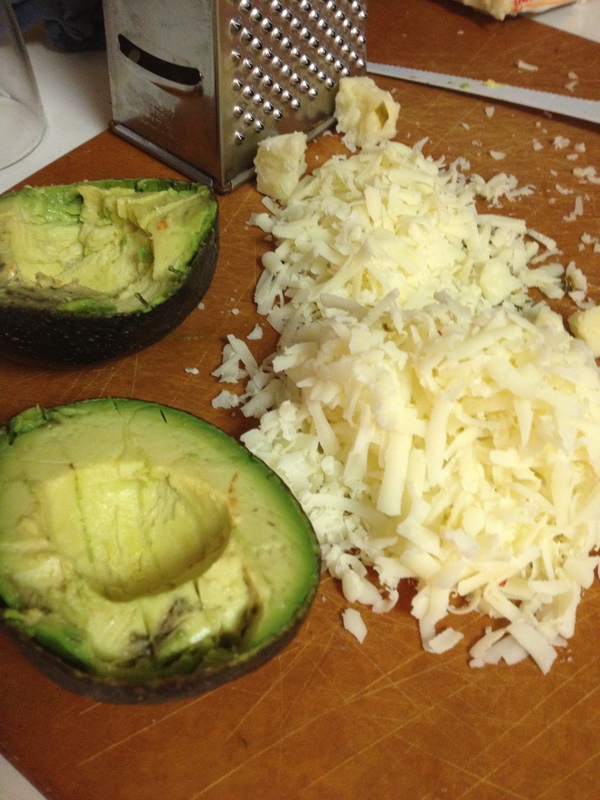 Pit and slice the avocado into small hunks, then add to the bowl. You want to add this last so it holds its cubed shape. If you stir it too much after this point, the avocado will mush up. It will still be delish but it won’t be as pretty. 4. 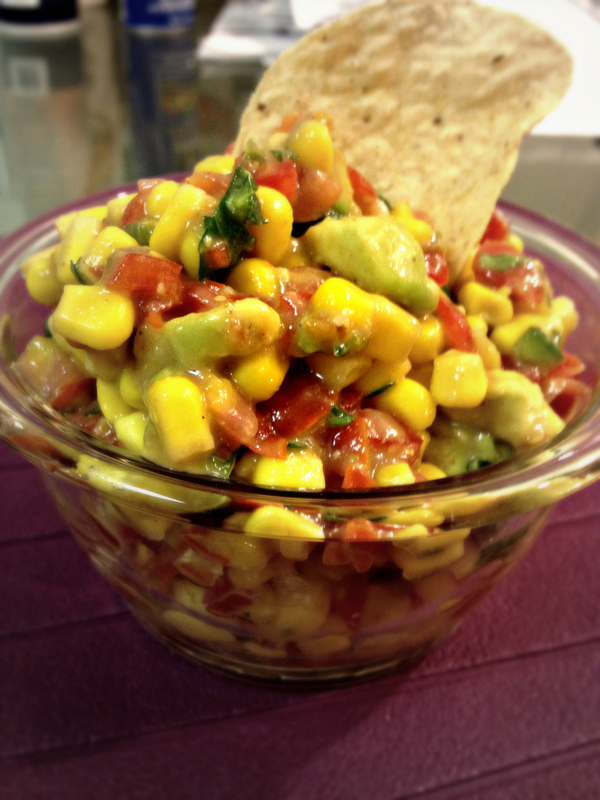 Stir lightly and serve with tortilla chips! I recommend UTZ Baked Tortilla chips or any Corn Tortilla. Results: OMG! Loved it. Both Dave and I were impressed with our ability to throw this one together… together! He was really helpful, besides just being a wonderful taste-tester…hehe. 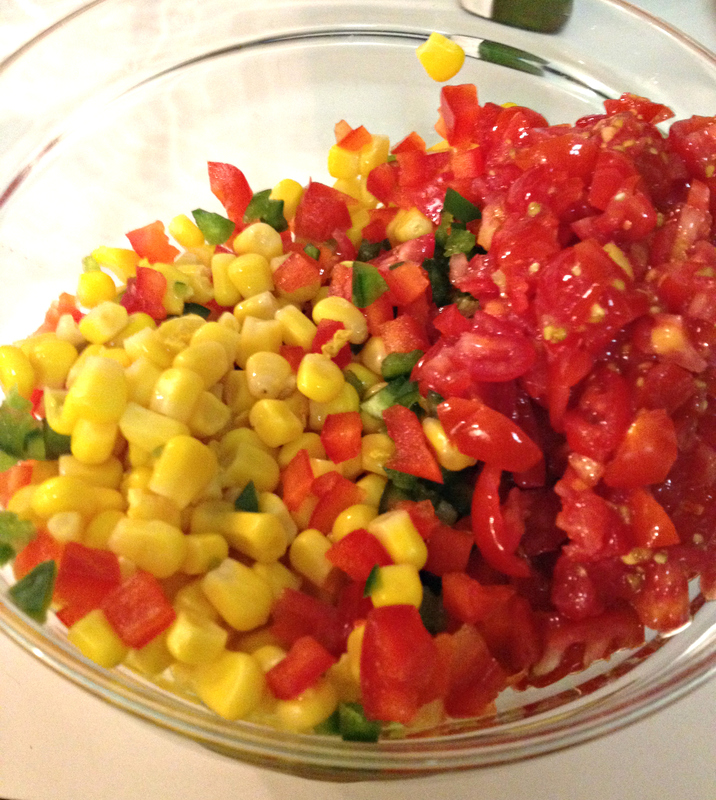 This was the freshest “fresh” salsa ever (it was my first ever! lol) and had great bold flavors despite it not being very spicy. 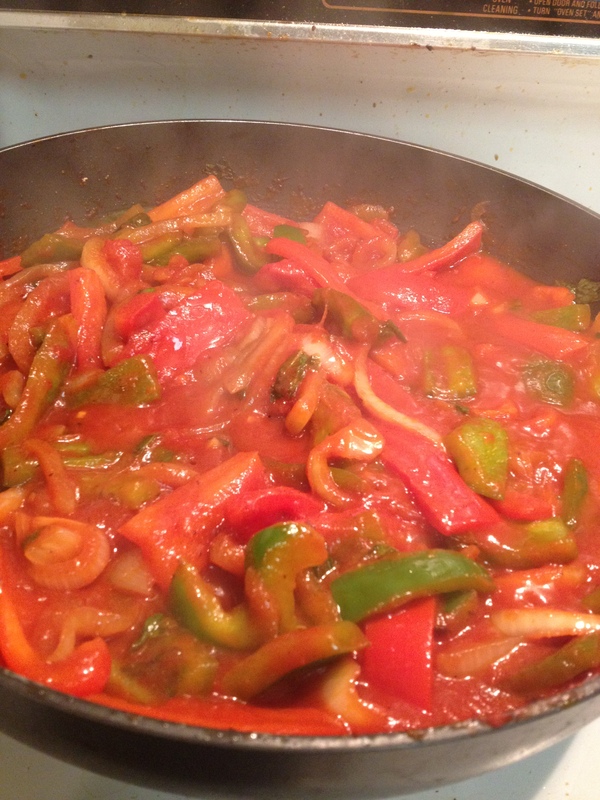 You could remove or add more jalapeno, cayenne, or hot sauce to add or remove the spiciness. Stelly and I were left to ourselves last night, which has been rare now-a-days. What to make for dinner? I was looking for something quick (obviously) and healthy and the first thing that caught my eye in the fridge was our giant clamshell of Yellow Grape Tomatoes. Here’s what Stel and I came up with! 1. Cut veggies. Heat olive oil in a large saucepan over medium-high heat. Dump the garlic, and veggies into the oil. Season with salt and pepper. Saute for 10 minutes or so or until the veggies are cooked to your liking. I like mine on the softer side, so I cook them until they start to brown just a little bit. You can lower the heat to medium. 2. Meanwhile, boil a pot of water and cook the pasta. Add a few drops of olive oil and a shake of sea salt to flavor the pasta and make sure it doesn’t stick to the pot! Cook for about 6 minutes. Drain. 3. Once your veggies are cooked, add the tomato sauce, chopped fresh parsley, italian seasoning, and cayenne pepper (for some heat… optional!) Add the pasta. Stir to combine. Add cheese to each individual serving. Enjoy! So pretty. 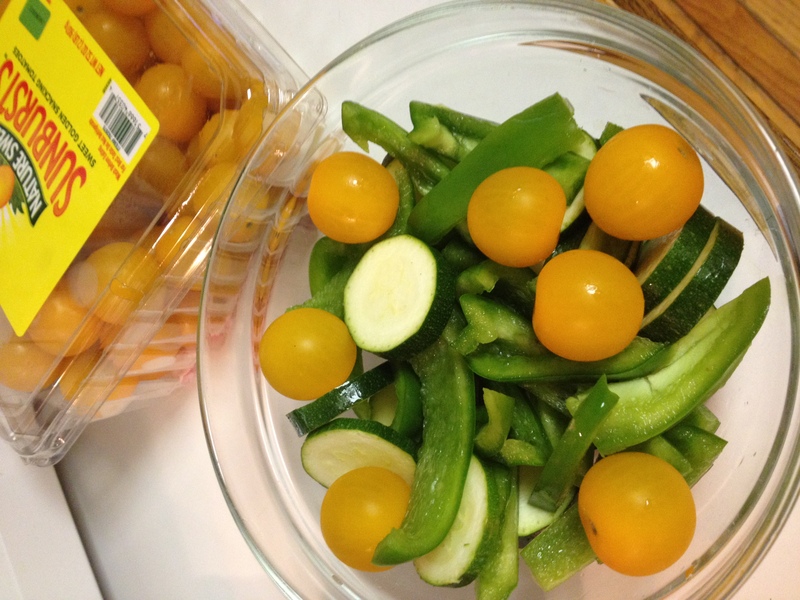 Veggies are cut and ready to be sauteed! I originally thought this would make enough for me to eat for dinner and lunch the next day, which is why I measured the pasta, exactly two servings. 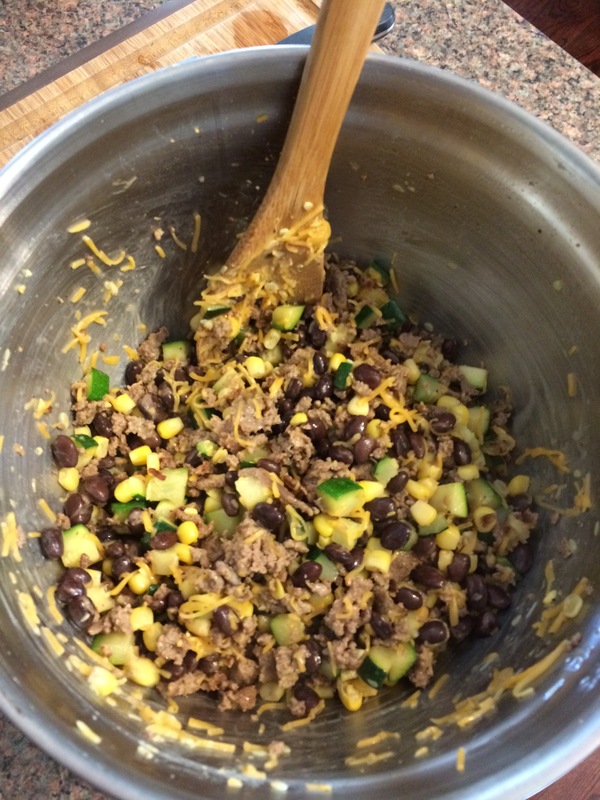 With the added volume from the veggies, it ended up coming out to be a whole FOUR servings. This means that what I’m eating is 1. cheaper and 2. less calories! Although I saved on those two important factors, the flavor was still great. 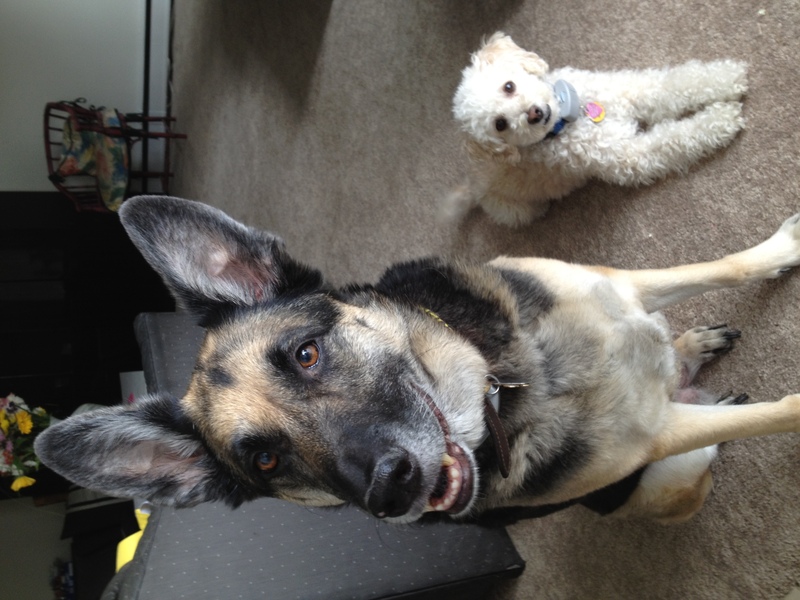 I didn’t share with Stelly, but I do have to share a few new pics of her and our other dog (Sushi) with YOU! 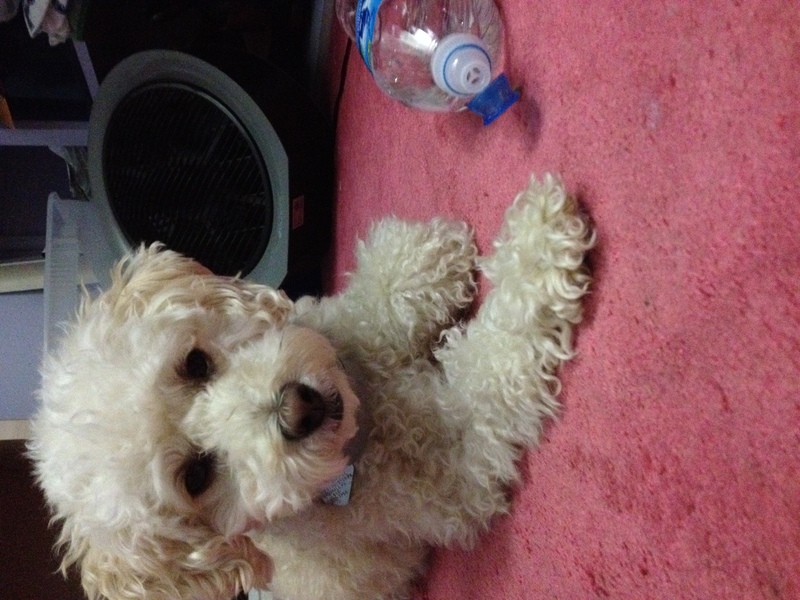 Stella is recently obsessed with waterbottles. She can take the cap off and drink water out of them. No lie. Video will have to come soon. Sushi and Stella, patiently waiting for me to stop blogging!! 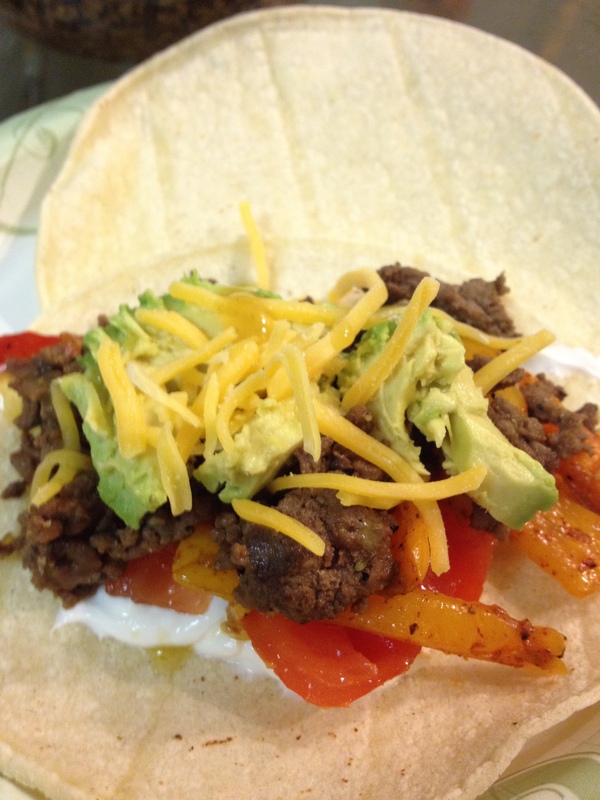 This week I made a fab version of my non-sizzle fajitas (I know, that takes out all the fun) that I just had to share with you! 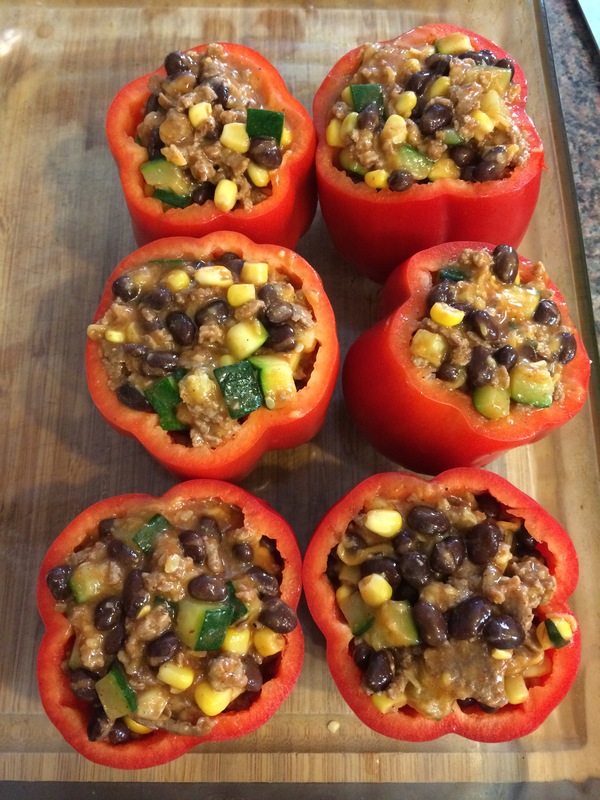 Making Mexican food at home can be really great because it allows everyone to personalize their own dishes. This time, I cooked the veggies perfectly, so they were still crunchy and the onions didn’t disappear- something that I always seem to do when over-cooking them. I used Chili Powder and Lime juice to give the veggies a nice kick and unique taste. 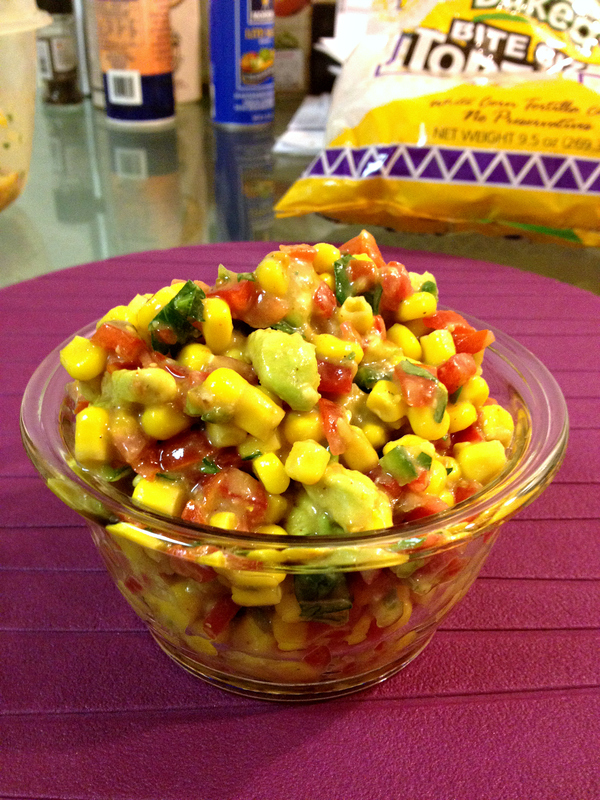 Garnish: Tortilla Chips, Corn Tortillas, Avocado, Shredded Cheddar, Chopped Tomatoes, Hot Sauce, Sour Cream, etc. 1. 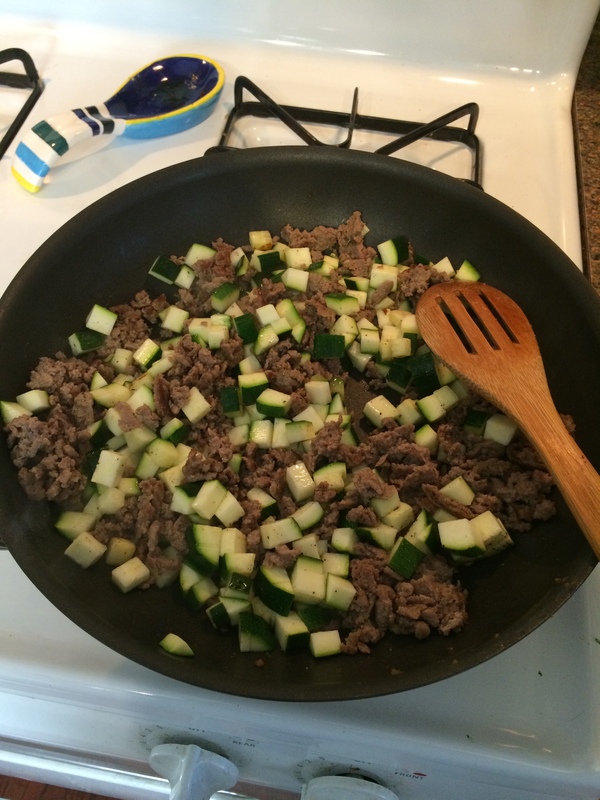 Cook/chop up the ground beef in a skillet over medium-high heat. 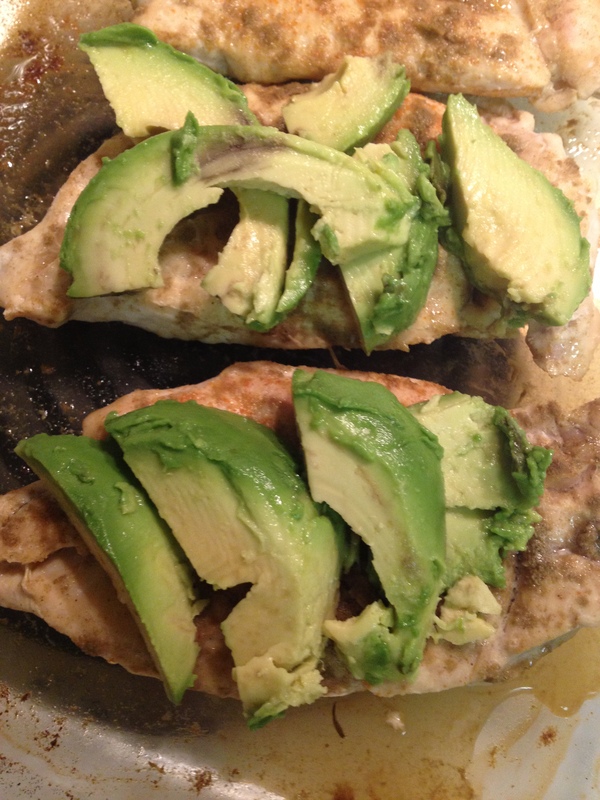 Drain fat, if any and add seasoning packet & 1/4 Cup Water. Lower heat and simmer. 2. 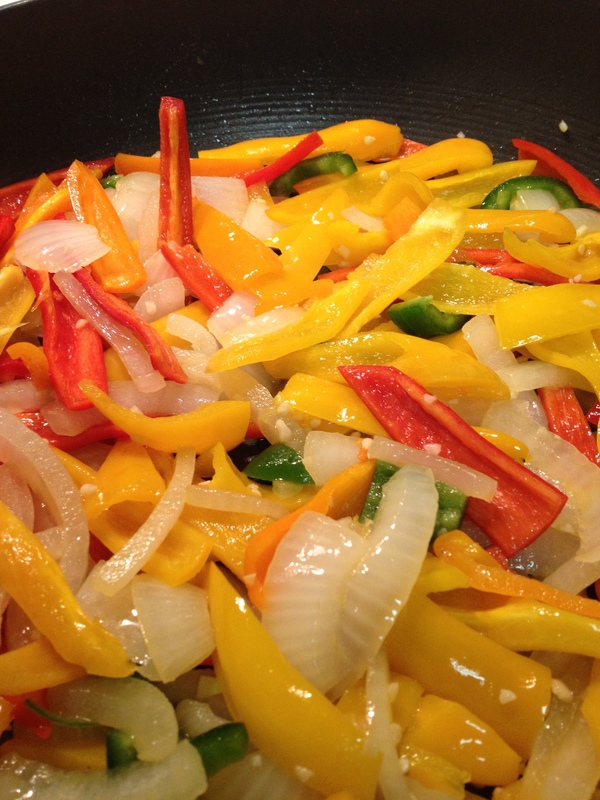 Meanwhile, chop onion and peppers and throw into a saute pan with the oil, garlic, and lime juice, over medium heat. Mix in seasonings. Cook while meat is cooking, about 10-20 minutes. 3. 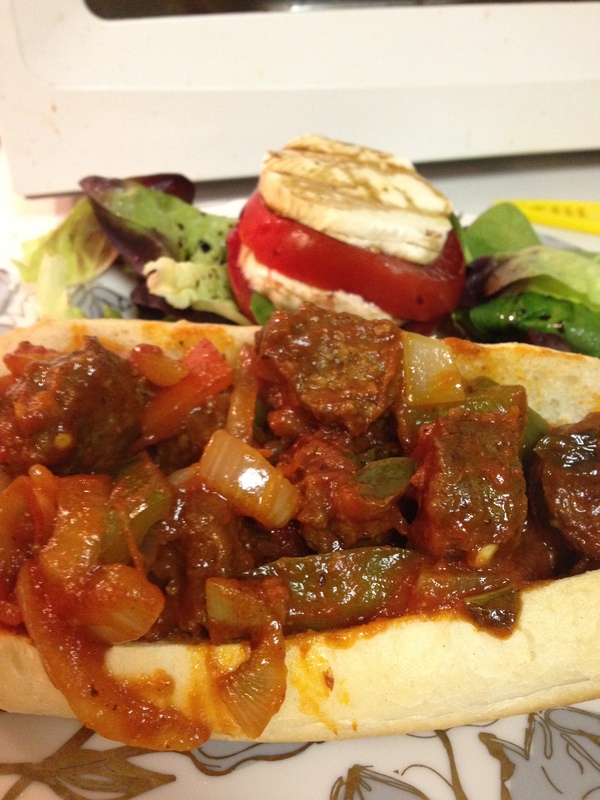 Serve meat and veggies with desired garnish. What else can you do? 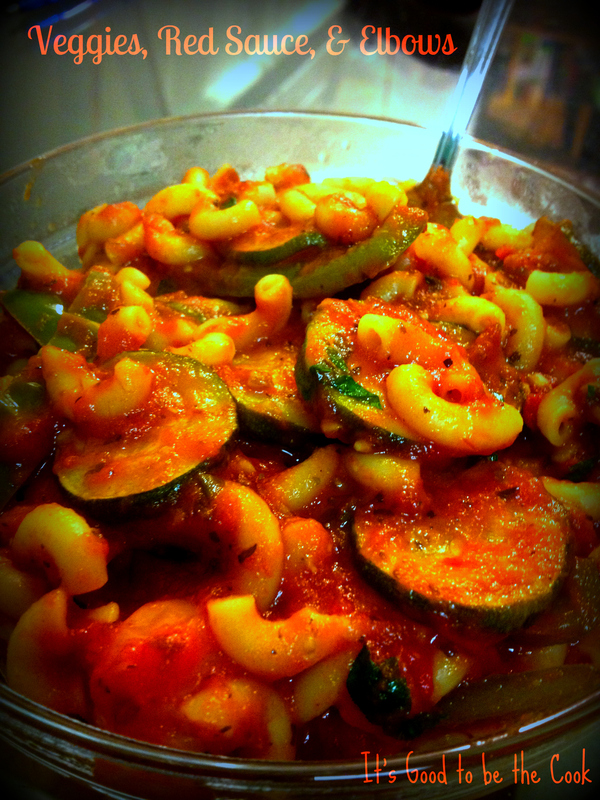 Feel free to add any veggies you want, like mushrooms or zucchini. MMM!